Hi there! Hope you're having a good week so far, seems to be a bit of a drag, no? I wanted to tell you all about an AMAZING deal I got on Monday with dailysteals.com and share with you an all black eye-make up look I did for work the other day. Some people say that not every can pull it off, I like it so I think I can pull it off (I hope I'm pulling it off, haha). 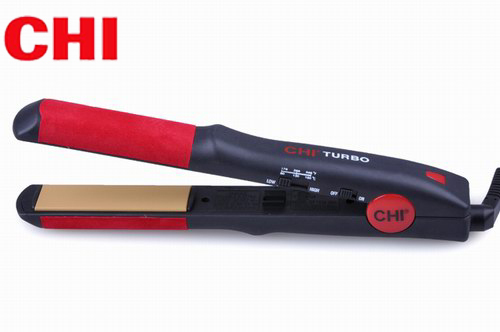 First the deal: a Farouk CHI Turbo 2" Flat Iron for...$69 bucks!! The reason I went ahead and bought this is because my CHI died on me last week after..I want to say 4+ years. I don't straighten all of my hair every day, because my hair is naturally straight but to get the kinks and what not out and it's great for when I curl my hair! I have my cousin to thank for texting me at 10AM about the deal! Thanks Tasnim Bhabhi! I think it's a huge steal, no? Now, this all black eye-make up I have done once or twice before. The only thing I don't like is how messy it can get because of the fallout from the powder eye shadow. 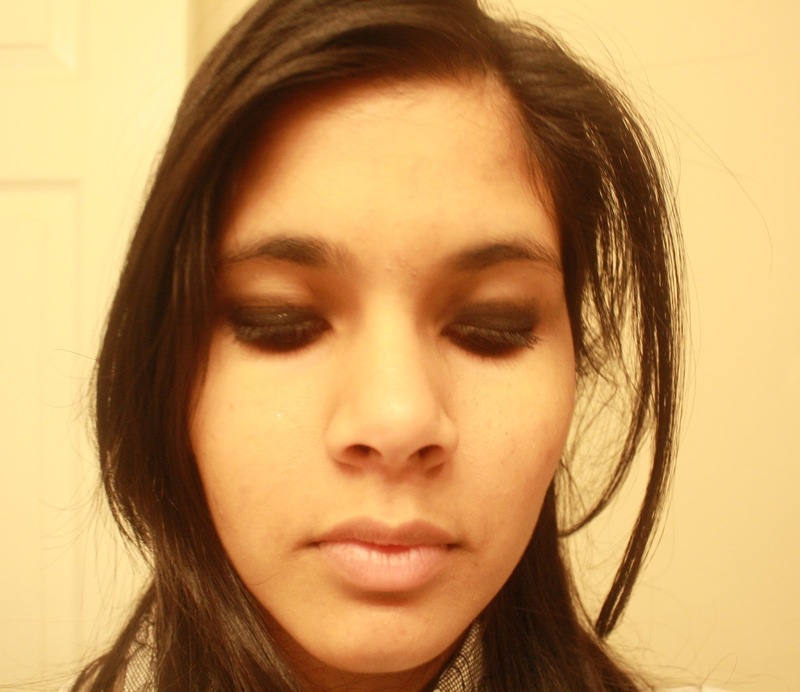 I used a black Sephora cream eye shadow and covered both my lids using an e.l.f eye shadow brush. Then using an e.l.f. eye shadow blending brush patted on the powder eye shadow on top of the cream one. The black powder on I have has hints of glitter in it which makes me love this look even more! I used black Sephora eye liner and L'Oreal Voluminous Million Lashes Mascara and then went very simple on the face and just a bit of deep rose blush on the cheeks. Have you ever tried an all black look? Do you like it? the powder one right above it. The e.l.f. brushes were actually the first make up brushes I ever 'invested' in, and I absolutely love them. They are so easy to clean and use and it helps that they are labeled too! Haha, it's great for beginners who are starting to get into make up and what not!